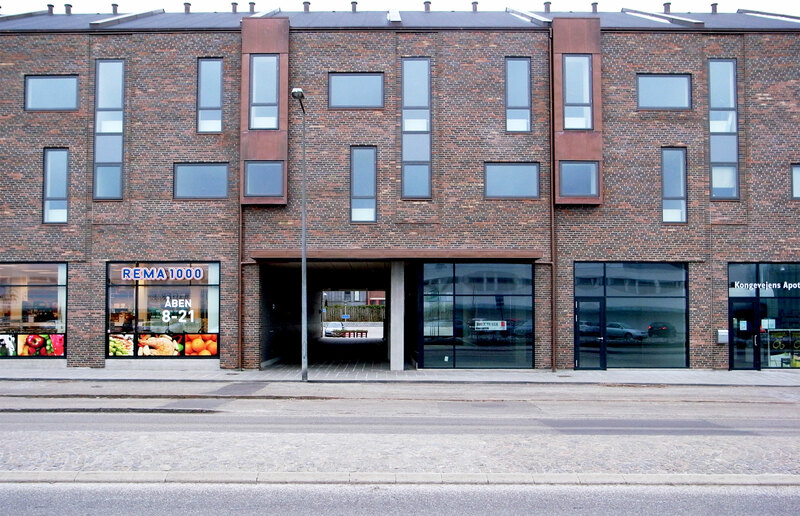 The building is a three story block structure in keeping with the surroundings on Usserød Kongevej. The ground floor is used by a large Rema 1000 convenience store and five shops. The 1st and 2nd floors are for residential use with 21 light and attractive flats in a combination of one level and duplex apartments. With a vertical three part division of the facade, the building volume adapts to the rhythm and proportions of the built environment on Usserød Kongevej. This is emphasised by changing brick type. The pitched roof, fascia and bay windows are in copper. 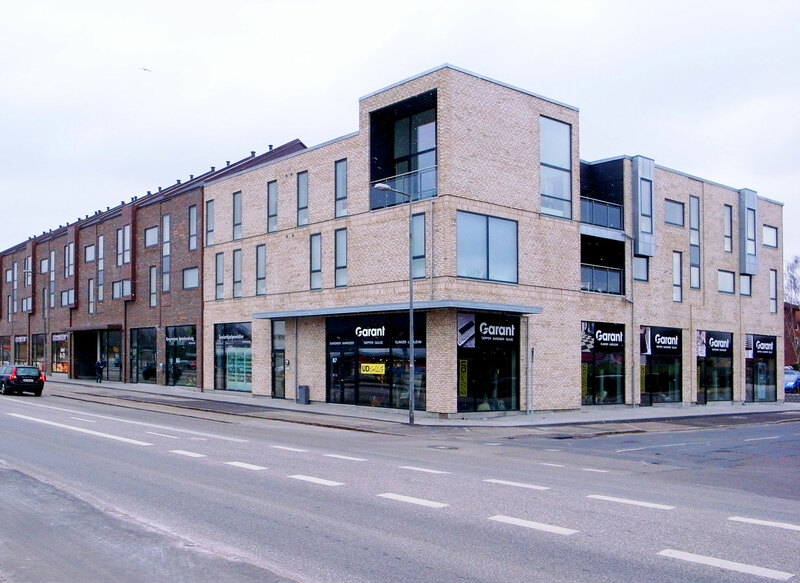 There is access to the flats via stairs and lifts from Usserød Kongevej and via a staircase from the roof garden. 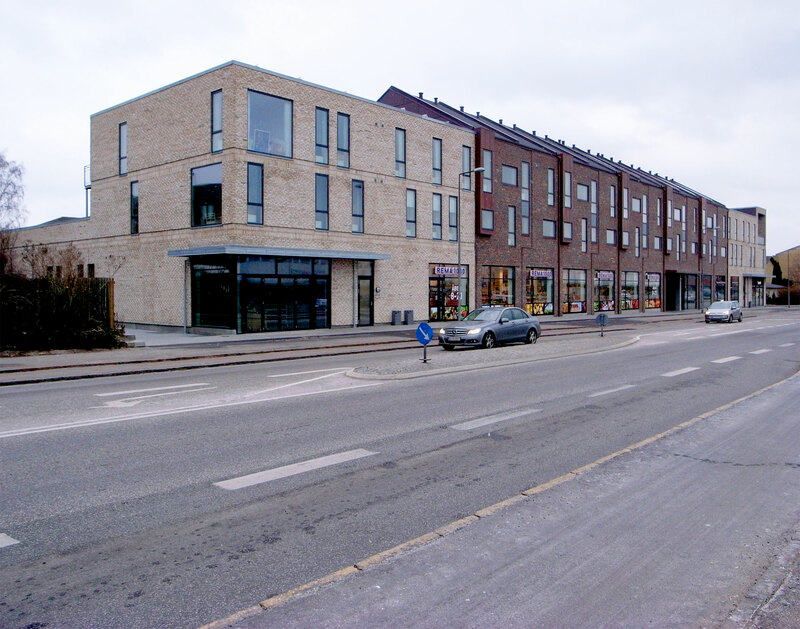 A passage through the building connects Usserød Kongevej with the parking area to the west.